WASHINGTON, D.C. - Marion "Christopher" Barry Jr., the son of the late Washington, D.C. mayor with the same name, has died at age 36, CBS affiliate WUSA reports. The only son of the former D.C. mayor was taken to the hospital where he was pronounced dead early Saturday morning, WUSA reports. No cause of death has been officially announced. WUSA's Bruce Johnson reports that like his father, the younger Barry struggled with addiction issues. 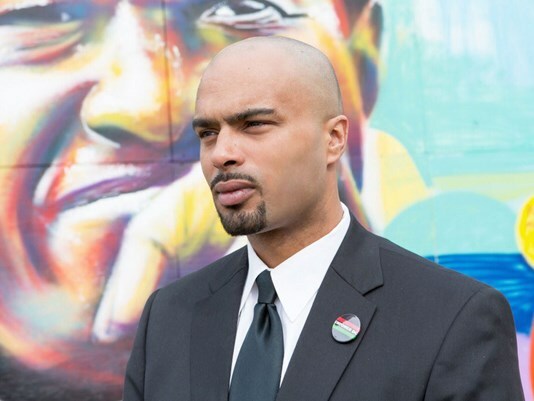 Christopher Barry also wanted to follow in his dad's political footsteps, Johnson reports, having attempted to run for a D.C. Ward 8 council seat. The elderly Marion Barry was often described as many things: Divisive and flamboyant, maddening and beloved, Marion Barry outshone every politician in the 40-year history of District of Columbia self-rule. But for many, his legacy was not defined by the accomplishments and failures of his four terms as mayor and long service on the D.C. Council. Instead, many will remember Barry for a single night in a downtown Washington hotel room and the grainy video that showed him lighting a crack pipe in the company of a much-younger woman. When FBI agents burst in, he referred to her with an expletive. She "set me up," Barry said. After his arrest and fall from grace (and prison term,) the elderly Barry eventually crawled his way back into D.C. politics, getting elected again to the mayor's post, as well as the city council later on. The elderly Barry passed away in 2014 at the age of 78.